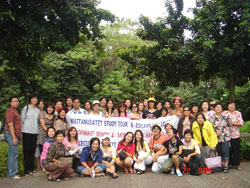 ..::Welcome to Wattanasatit Study Tour Co.,Ltd (WST)::..
Wattanasatit Study Tour Co., Ltd (WST) is the new generation travel company. We mainly operate educational programs for academic institution or related field. We also provide inbound, outbound and domestic package tour, car rental, and worldwide hotel reservation services especially Thailand, Southeast Asia and Oceania. For more than 10 years, Wattanasatit Study Tour Co., Ltd (WST) has been serving our customers with serviced-minded and high quality services without exhausted for the best to serve our customers. We serve you more valuable than you paid us because we run our business with love and service-minded in stead of the amount of money. 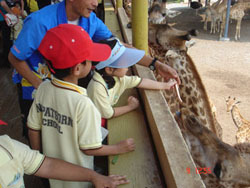 No one understand you as Wattanasatit Study Tour Co., Ltd (WST). We hope we will have an opportunity to show you how best we are and also be a part of your school to offer a good education to your students who will become the power of our world in the future.